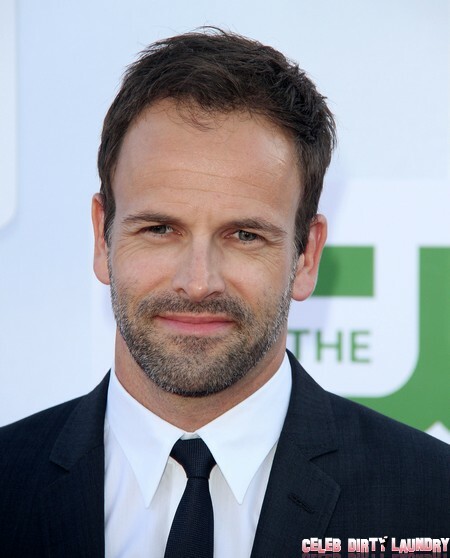 The Brad Pitt and Angelina Jolie rumour mill is once again churning out duds – in the form of Jonny Lee Miller, Jolie’s ex-husband. According to a latest National Enquirer report, Jolie secretly annexed the TiVo and recorded Miller’s new television series, “Elementary”. This would have been perfectly abnormal even in any normal household, but we know of Jolie’s sordid history with Miller, and the fact that she told Brad Pitt that Miller’s new show was a “dud”. According to a source at National Enquirer, Jolie recorded the premiere episode of “Elementary” on the 27th of September, but told Pitt that “she wanted to critique Jonny’s acting performance and see how he’s aged.” The moment the credits crawled up the screen, “Angelina told Brad that she thought the show was so bad she could barely make it through the entire episode.” Unfortunately, the TiVo breaking Jolie had been recording “Elementary” behind her husband’s back, and not only watched the episodes while he wasn’t around, but also screened the show to their small tribe of children. The show, which airs on CBS, is a modern-day Sherlock Holmes tale of crime-solving and villain busting fun, much like Law and Order, except with non-cinema verite dialogue and “Elementary, my dear Watson” quips. Miller’s performance has been lauded by critics. Jolie is also purportedly “enamored with her ex’s portrayal of the fictional detective.” According to the source, “It took some swift talking on Angelina’s part, but she was eventually able to calm Brad down. She reassured him that her heart belongs to him and that Jonny isn’t a threat to their relationship.” See, it’s actually quite elementary, my dear Pitt. What do you think, though? Do you think the Brangelina name will soon be in tatters? Let us know your thoughts in the comments below.